Hua Zheng works for Hilton in a permanent position. His employment was initially supported by Challenge with a job coach who helped us with training and supporting Hua early on. His coach phased out from a daily support to weekly to less and less. Hua is aggressively working towards his GED right now and attends classes regularly to help achieve this goal. 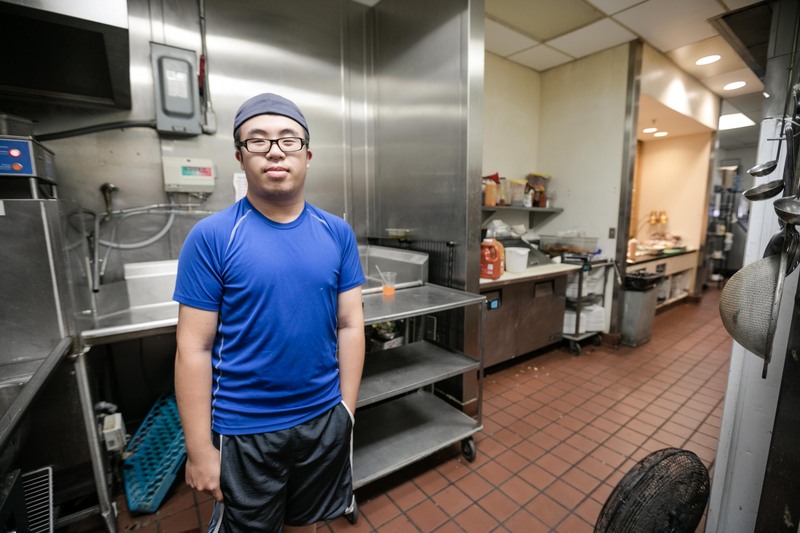 The Hilton Garden Inn supports Hua with a flexible schedule, allowing him to continue his employment but also give him the time necessary to study and attend classes to help support him in this endeavor. The Hilton Garden Inn is a lively downtown building, home to office space, retail space, and a hotel all in one. A landmark for visitors, the hotel is just a stone’s throw from the Commons. Though its clientele is largely based in tourism, the hotel has a serious commitment to investing in our local community– its relationship with Challenge Workforce Solutions is a prime example. Challenge has been assisting people with disabilities and other barriers obtain employment for nearly 50 years. They work with over 1,200 clients every year, offering training programs for a variety of fields and employment opportunities like the Challenge-run dishrooms at Ithaca College, Cornell University, and Wegmans, but also by finding willing employers like the Hilton Garden Inn that offers their clients unique opportunities. 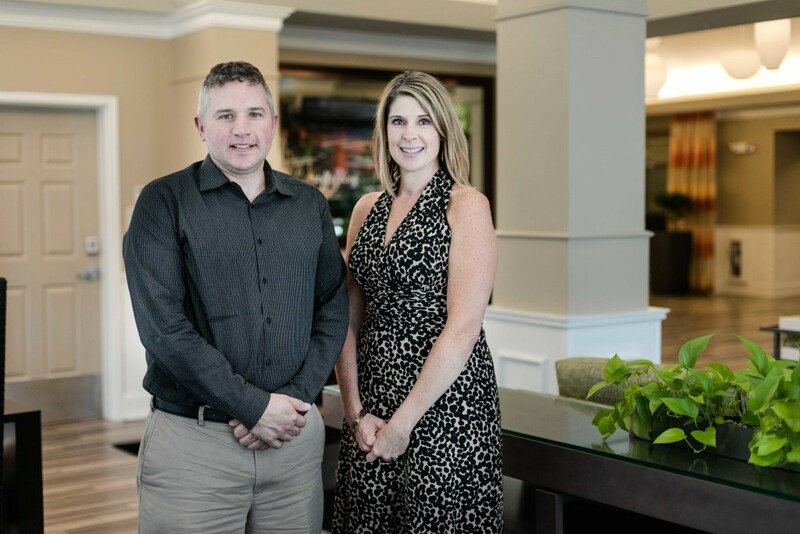 This year, the Hilton Garden Inn has employed 8 Challenge clients, and at least 12 have held positions since the beginning of the collaboration in the Fall of 2015. Challenge has similar relationships with other businesses, but the Hilton’s participation is one of the largest and most diverse relationships, and has led to other opportunities. Teri recently introduced Mike to the management of Hampton Inn, another hotel in the same family. “They heard of our story and our success with Challenge and asked how to get involved,” said Teri. Because of this introduction, Challenge began a new program with the Hampton Inn at the beginning of July, offering housekeeping opportunities three days a week. Challenge is always seeking local businesses interested in employment partnerships. Learn more about how to support Challenge and about employer incentives at http://www.challengeworkforcesolutions.com/. Elizabeth Ingram works as a housekeeper for Hilton, a position she found through her engagement with Challenge.